Crystal Leung is a multi-faceted creative and nail artist. When she is not pushing pixels as a graphic designer, she is probably painting your nails and hosting nail salons to talk about your life goals and telling you about the best holographic nailpolishes. Crystal has been painting her nails and mixing her own frankenstein nail polishes since middle school. She has also traveled as far as Thailand and Hong Kong to buy Korean and Japanese nail art for DIY manicures. 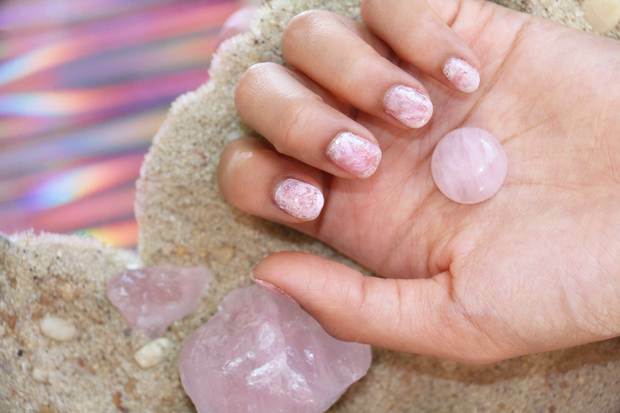 Learn how to get cool crystal looking nails with this class! We are transforming crystals into nail art you can DIY with simple tools you probably already have at home. 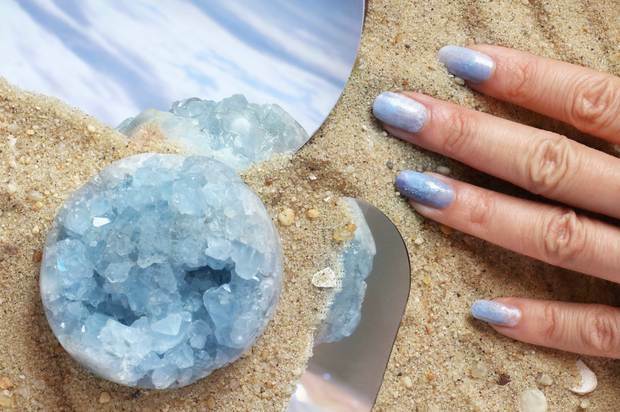 Join us for a live demonstration and tutorials for three crystal-themed manicure looks that will level up your nail art game. Don't be surprised to learn more about what each of these crystals means as well as some other nail polish painting tips and tricks. Materials for the three looks pictured will be provided but feel free to bring any of your own polishes to play around with and learn more about its best application for future manicures. This class meets at the Gowanus Souvenir Shop, 567 Union St, Brooklyn, NY 11215.